The Danish bus transport and railway network. The bus transport and railway network is the heart of the public transport system in Denmark, and among the best public transport systems in the world. IC4-Train-Denmark. 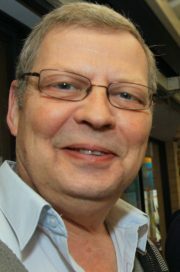 - Foto: Jens Hasse/Chili foto. You can reach Aarhus on the Jutland peninsula in about 3 hours with a train from Copenhagen. The Danish railway system is a good choice, it is fast, efficient and runs on time, unless you are in the middle of a snowstorm, and the railway is also the cheapest form of public transport in Denmark. 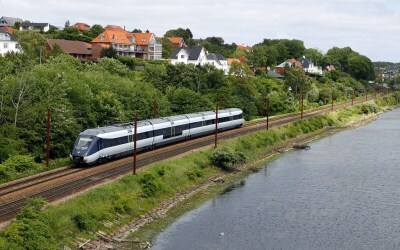 Today with the bridges connecting Zealand and Funen and connecting Funen and the Jutland peninsula it’s fast and easy to catch the train to and from Copenhagen to the Jutland peninsula and if you like you can continue your journey down through Europe. The Danish bus transport system is efficient and will get you to just about any town in the country. In towns serviced by trains, you will normally find the bus station next to or close by the train station. The tickets are normally issued by the bus driver. You will find that on the eastern part of the Jutland peninsula, Funen and Zealand, generally there are about 25-30 km. between towns with a population at about 20.000 or more, with 2-3 smaller towns in between, most of these towns are connected by bus and buses depart just about every hour between 6 am and midnight. On the west coast on the Jutland peninsula you will find that the distance between the towns can wary a bit more. 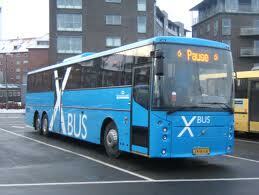 Be aware of the X-Buses as they are normally called, the X-Bus is an Express bus, and normally travels about 50-60 km with limited stops, most of the times the bus will only stop 4-5 times on the journey. Make sure that the bus stops where you need to get off. If not, take the normal bus transport. SAS Airbus 340 - Photo: Arne V. Petersen, Copenhagen Airports A/S. The biggest airport in Denmark is Kastrup International Airport, placed on the island of Amager only 8 km from the Copenhagen city centre. If you arrive in Denmark by plane you are most likely to start your journey from here. From Kastrup airport you can reach any other airport in Denmark in less than 1 hour. Billund Airport , placed on the Jutland Peninsula , is Denmark’s second largest airport and is also an international airport, with connection to most cities in Europe. Other Danish airports are Rønne Airport on the island of Bornholm .Sønderborg Airport in the south eastern part of the Jutland peninsula . Aalborg Airport near the city of Aalborg in the northern part of the Jutland peninsula and Esbjerg Airport placed on the south western part of theJutland peninsula . All of these airports have a number of connections to Kastrup daily and the flying times are between 35 and 60min. Leave Bus Transport And Go To Home Page.